There are many lawyers in California, but few firms like ours that boast a 99 percent success rate. Ellis Injury Law offers zealous legal representation to car accident and injury victims throughout Oakland and the surrounding communities. For more than two decades, our veteran legal team has litigated complex cases, obtaining hundreds of millions of dollars in damages for our clients in southern California. Our lawyers are proud to offer outstanding legal advocacy backed by the resources and knowledge that only years of hard-won experience can provide. Our focus on car and motor vehicle accidents, catastrophic workplace mishaps, and other types of negligence allows us to effectively guide our clients through the litigation process. Whether you fell on the job, were hit by a drunk driver, or were injured in a motorcycle crash, our accident lawyers are here to answer your questions and outline the best options for legal recovery. To schedule a free, confidential consult with a personal injury lawyer at our firm, you can call our toll-free number 24 hours a day for prompt attention. To better serve our clients, we offer 20 California locations where you can meet our attorneys for a one-on-one consultation. Free Case Review, You Pay Us Nothing Unless We Win! You contact us for a FREE case review and no-obligation consultation. If we agree to take on your case and fight for your legal rights, you PAY NOTHING UPFRONT. You will sign a contract that clearly explains all legal fees that are due, should we win your case. We handle all the filing fees, cost of depositions, copying expenses, investigators, and court preparations. If you are in the 1% of cases that do not win, you OWE US NOTHING. 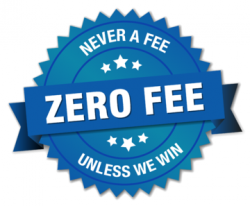 If we win a settlement or jury award on your behalf, we deduct out-of-pocket costs and then take an agreed-upon percentage as our legal fee for services. You receive the rest of the money to cover medical expenses, lost income, or whatever you’d like. In a nutshell: working on a contingency basis is a risk-free situation. We believe you have enough worry and concern on your plate in the aftermath of a sudden, horrific accident. We know that money is tight, and that is why many people are forced to consider legal action in the first place. Call our office any time, 24/7, to request your free case review. Our attorneys handle a wide variety of cases, ranging from minor injuries, to catastrophic loss. In order to sue, there must be some type of harm resulting in the need for medical care. Broken bones, burns, deep lacerations, brain injuries, spinal cord damage, and joint injuries are some of the more common causes of high medical bills and disability. The higher payouts tend to go to plaintiffs whose injuries prevent them from working, exercising their talents and skills, or enjoying life to the fullest. The more surgeries a person needs or the longer the recovery time, the greater the sum awarded. Working with a requires a certain degree of trust. You want to have faith that the attorney you choose to represent your case has your best interests at heart and the competence to deliver on promises. You want to know that your case is being handled efficiently, with every available resource used in pursuit of justice. You want to be informed every step of the way and feel as though your lawsuit is the only one on the attorney’s docket. Nothing is worse than the disrespect of having your paperwork sitting on a law firm’s desk, buried under stacks of new cases coming in, with no indication that negotiations are taking place. Our attorneys handle a comfortable case load, so we can deliver the personal attention, courtesy, and respect you deserve at this challenging juncture in life. You don’t get recognized among the top 10 percent of personal injury attorneys nationwide providing anything less than the best service. Our attorneys are distinguished members of the Million Dollar Advocates Forum, Super Lawyers, and the American Board of Trial Advocates. Senior Partner Andy Ellis has won more than a quarter billion dollars on behalf of his clients over the last five years. There can be no doubt our seasoned legal barracudas are the best amid a crowded sea of competitors. Why Choose Ellis? Because There Is No Substitute for Experience! At Ellis Law, we have dedicated our flourishing practice to helping hardworking clients who have been seriously harmed in accidents through little or no fault of their own. Over the years, our injury attorneys have provided innocent victims with the focused, individualized attention they deserve in the wake of needless tragedy. No job is too big. Andy Ellis and his talented team of trial lawyers have successful litigated several high-profile cases, and are not afraid to take on complex cases, or defendants with deep pockets. Our firm has secured significant seven and eight-figure verdicts and settlements in a variety of accident claims, handled in state and federal courts. As tireless advocates for our clients, our attorneys thoroughly investigate each new case, enlisting the services of accident reconstruction experts, health care specialists and other industry experts who help craft a strong claim that establishes the extent of your injuries, as well as present and future losses. Whether you’re pursuing an elder abuse or pedestrian injury claim, you can rest assured that you’ll always have unlimited access to your attorney, and will never be handed off to a paralegal. Ellis Law has a proven track record of impressive case results in claims involving crippling neck and back injuries, defective products, and negligent drivers. Put your trust in founder and lead trial counsel, Andy Ellis, and his award-winning legal team when it comes to pursuing an accident claim. Our car accident injury representation is no joke. Expertise.com ranked our firm among the Top 19 Best Car Accident Attorneys in LA. They considered criteria such as reputation, case results, credibility, experience, availability, and professionalism. Andy Ellis and his team has represented a wide range of automobile accidents — pedestrian injuries, bicycle accidents, high-speed collisions, distracted driving cases, DUIs, and 18-wheeler rollovers. We eagerly take on the opportunity to win fair damages in court when we feel the settlement offer is too low. Our team of investigators, crash reconstructionists, insurance adjustors, medical professionals, and expert witnesses is ready to impress the court room with compelling exhibits and testimonies. If you have any suspicion that the driver of the other vehicle could have somehow prevented the accident, it’s worth calling an auto accident attorney IMMEDIATELY after the accident. Not only can we help you figure out what exactly happened, but we can drive you to medical appointments, help you find a doctor or get a rental car, and begin piecing your life back together. The first week following an automobile collision is the best time for investigation, before crucial evidence is lost. Living in the Bay Area is a longtime dream for many. our office is only a quick BART ride away from San Francisco, with scenic views of the city skyline and warmer, sunnier weather than the West Bay. Real estate is a third of the price, whether you’re buying or renting here, and the area is saturated with young talent working at Pixar, Pandora, Fathom, indie publishing houses, and a plethora of promising startups. We are happy to represent the interests of individuals living in this community when their joy and livelihood are unfairly compromised by others who are not acting responsibly. Our accident attorneys share decades of legal expertise in representing clients from all walks of life – from part-time construction workers to prominent business owners. You’ll find our office just a stone’s throw from Children’s Fairyland and the community of Lakeside. Our comfortable, modern office built in 2014 can be found in Suite 1100 of the Regus Lake Merritt Business Center at 1901 Harrison Street. Our central Bay Area location offers calming panoramic views of the downtown city, right on Lake Merritt’s jogging and running trails. If you’re taking public transit, the 19th Street BART Station is three blocks away. Our location is also perfect for conducting business at the Alameda County Courthouse, just half a mile from Harrison Street. See more verdicts, settlements, and results. We cannot make any specific guarantees as to how much your case will win, but experience gives us a good estimate of what is possible. We are always happy to discuss our expectations and the current state of settlement negotiations with you – and we will never accept a low-ball settlement that will not cover the costs of your injuries! The larger value settlements often have several common denominators, such as clear liability, hard injuries (like fractures), high medical costs, and multiple surgeries or lengthy recovery. Most of the highest settlements include some type of allowance for emotional pain and suffering. The State of California does not place any damage caps on personal injury claims, except for cases of medical malpractice. The Medical Injury Compensation Reform Act (1975) caps non-economic “pain and suffering” damages at $250,000. California provides legal remedies for victims of malpractice, dangerous workplaces, reckless or distracted driving, poor property maintenance and other types of negligence that result in serious harm. Consulting with a knowledgeable attorney is the best way to determine how to maximize your recovery. Are There Time Limits for Filing a Lawsuit in California? Every state has a deadline for filing a lawsuit called the “Statute of Limitations.” In California, you have two years from the date of the accident to file a lawsuit. Medical malpractice claims allow up to three years from the date of injury OR up to one year from the discovery of the injury, since some complications do not manifest right away. A minor plaintiff can decide at age 18 (or when emancipated by court order) to file a lawsuit for personal injury. Parents whose child suffered birth injury may file suit, alleging cognitive delays, up until the minor is six. There have been cases where mentally insane or incompetent plaintiffs have been granted extensions. Family members of decedents may file for wrongful death within six months of death if the statute is exceeded. The California courts are designed to be fair to everyone. Sometimes general laws do not apply to a unique set of circumstances. Whenever possible, we will petition for an extension on your behalf. The vast majority of cases settle outside of court before trial. This is good news, as these cases also usually resolve much quicker! Trials can take a year or more of preparation, in addition to three to 10 days in court. Once a settlement has been accepted or the jury reaches a verdict, it usually takes between two and six weeks for the funds to be released. A lengthy release document requiring careful review and interpretation. Dealing with liens against your lawsuit – like medical, government agency, or child support liens. Defendants with no insurance, but assets in need of liquidation. We can draft a clear, concise release form acceptable to both parties, with specific deadline expectations. We will make sure all necessary documents are submitted on-time and as requested. We use expedited shipping and return receipt request mailings to avoid defendant excuse-making. We work with creditors and lien holders far in advance to work on partial distribution and debt relief. When appeals are requested, we aggressively make the case to get the appeal swiftly overturned. In the aftermath of an accident or personal tragedy, calling a lawyer may not be first on your priority list — but there are so many reasons to make the call. You can think of us as your investigators to help you understand what happened, and your personal concierge in finding medical and transportation services. We strive to be compassionate friends who will never let you down in your time of need. There is no reason to endure this difficult recovery period alone, without resources or recourse. If you or a loved one were injured and are in need of a competent, hard-working personal injury attorney who gets results quickly, we invite you to call our office to schedule a free case evaluation.